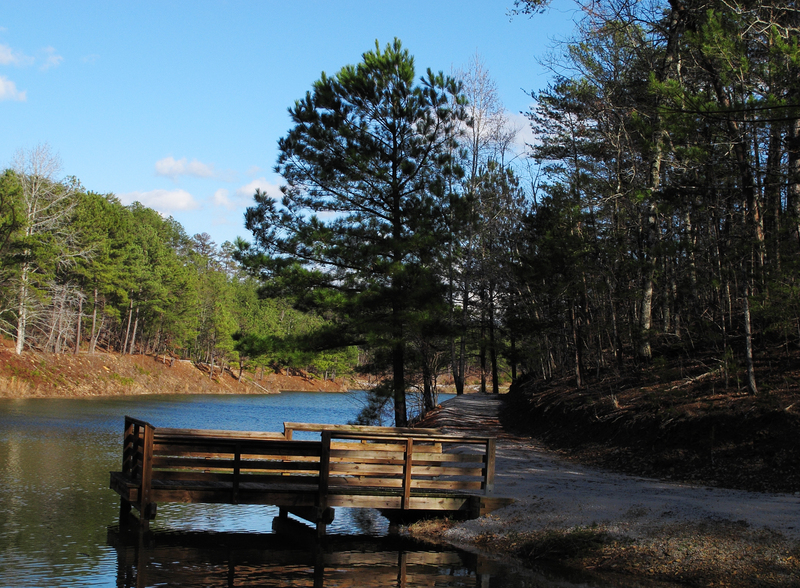 Minooka Park features miles of trails specifically designed and constructed for ATV's and off road motorcycles. If you're a dirt bike enthusiast looking for more technical trails then check out our miles of single track trails. Location: central Alabama, Off U.S. Highway 31 north of Jemison on County Road 146. Off US 31 N of Jemison on County Road 146. Horseback riders are also welcome at Minooka Park with trails such as Deer Ridge, Turkey Creek, and Pine Mountain which feature beautiful views, creeks, and the opportunity to see wildlife such as white tail deer and turkey. Hikers have access to wooded nature trails and a one mile walking trail around Lake Minooka. 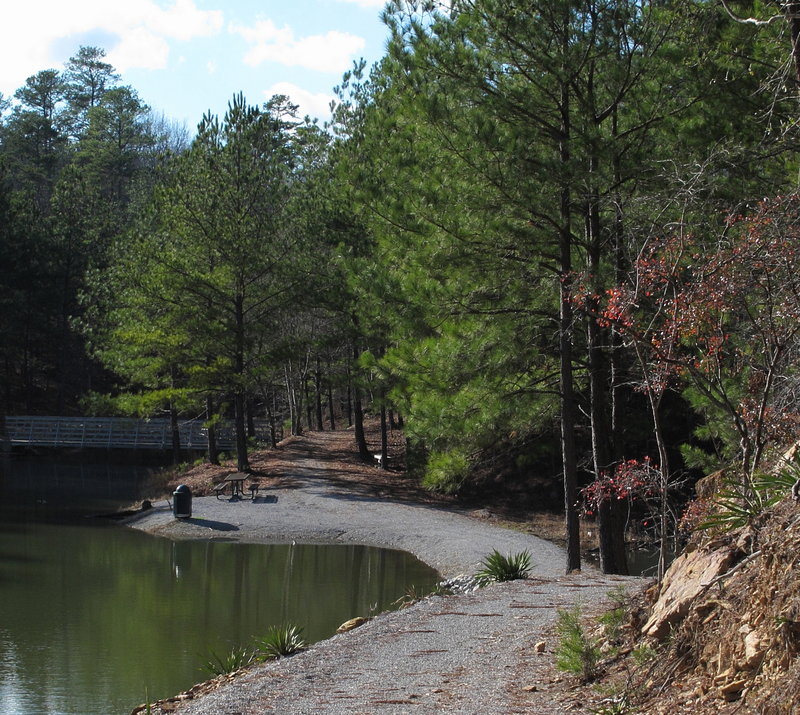 The walking trail around the lake along with five fishing piers and a large deck overlooking the lake are handicap accessible. Bring your fishing equipment when you visit Minooka Park because the eight acre lake is stocked with largemouth bass and blue gill. 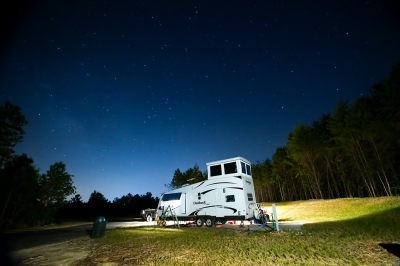 Primitive camping is available with an RV campground scheduled to open early 2010. Horse trail. Photo by Mark Alexander. Minooka in snow. Photo by Mark Alexander. Park walking trail. Photo by Mark Alexander. Cheaha Trail Riders installing traffic counters on one of the OHV trails in Minooka Park. Photo by Rob Grant. Camping under the stars. Photo by Rob Grant. Motorized trail users. Photo by Rob Grant. Trail meanders around Wilson Lake and crosses bridge. Photo by John H. Morgan, III. 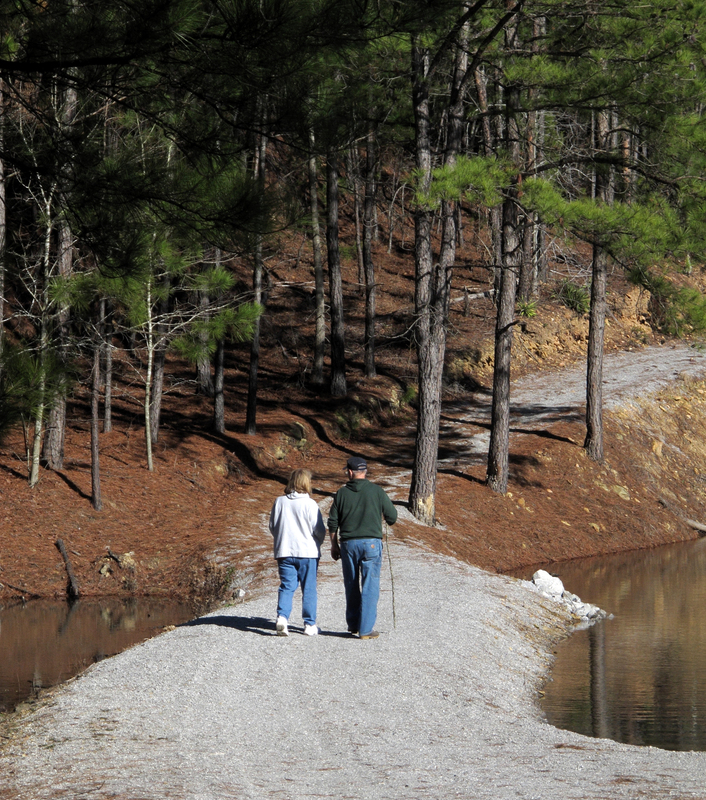 Hikers along the walking trail get their afternoon exercise. Photo by John H. Morgan, III. The pier makes a nice rest stop along the walking trail. Photo by John H. Morgan, III.